January 29th in Plugin Lists, Viral, Wordpress Plugins by Wordpress Jedi . 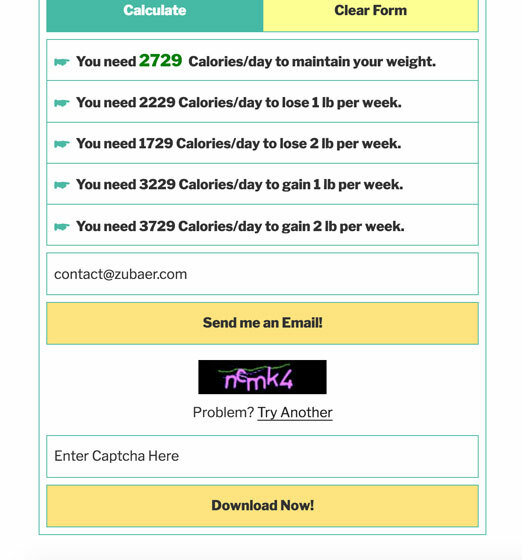 Calorie Calculator: this plugin allows your visitors to estimate the calories they need to consume every day to stay fit. The pro version lets you download results as PDF, send results to e-mail, and do a whole lot more. MWP Diet Calories Calculator: a versatile plugin that shows lean body mass, fat body mass, weight lose, weight gain, and other parameters. It is responsive and AJAXified. The script also shows the number of weeks needed to reach your weight goal. Have you found better calorie counters for WordPress? Please share them here.